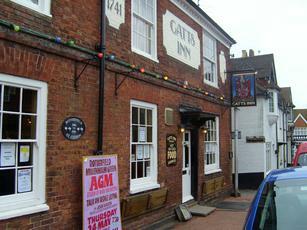 Very friendly and welcoming pub with excellent lunches. Decor a little tired but nothing to detract from an uplifting experience. Hadn't realised how much this nice local relied on Craig, but now he's gone sadly, and there are rather too many customers no longer allowed in nearby Crowborough pubs that belong to Pubwatch. I suggets Annie joins Pubwatch which might hit her in the pocket short term, but she'd get a lot of her nicer customers back. Beer's still good though. What a great village pub. 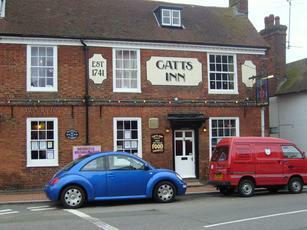 Full of very friendly locals every night of the week and with the friendliest landlord and landlady you will ever meet. They have transformed this establishment in the two or three years they have been there. Excellent basic pub grub, good beer, darts and a TV that's only occasionally on, mainly for big name sport and at low or no volume. It's a classic atmosphere that one had thought had disappeared from pubs years ago. Mixture of hard chairs, tables and sofas. A previous post mentioned a number of chavs frequenting the place, but that was only for a short period and they have moved on to pastures new. A great place for a quiet but friendly drink.